Its always nice to get photos back from our customer using there inflatables on site. 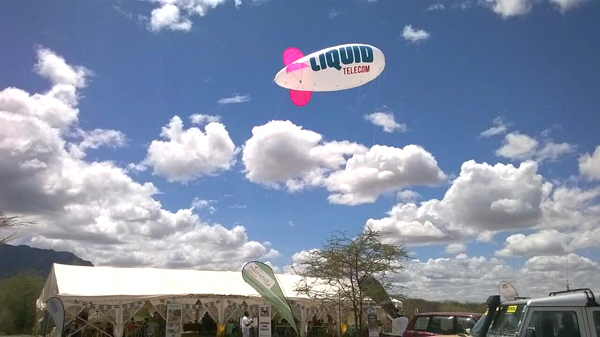 This was a blimp we manufactured for Liquid Telecoms http://liquidtelecom.com/ which has been a great hit! Flying in glorious weather overseas, we need some more of that here in the UK!